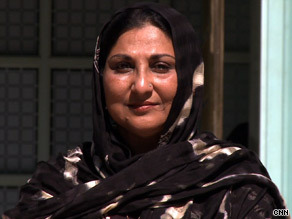 NEW YORK (CNN) -- Toward the end of her marriage, Rabia Iqbal said she feared for her life. Robina Niaz said the Quran "condemns" abuse of women. "If we witness injustice, we're required to speak up." A devout Muslim, Niaz stresses that there is no evidence that domestic violence is more common among Muslim families. "Abuse happens everywhere," said Niaz. "It cuts across barriers of race, religion, culture." But, she said, Muslims are often reluctant to confront the issue. Niaz said she firmly believes that domestic violence goes against Islamic teachings, and considers it her religious duty to try to stop abuse from happening. "Quran condemns abusive behavior of women," she said, noting that the prophet Mohammed was never known to have abused women. "Allah says, 'Stand up against injustice and bear witness, even if it's against your own kin. So if I see injustice being done to women and children, I have to speak up. It's my duty." Want to get involved? Check out Turning Point for Women and Families and see how to help.